I'm too old to bind my feet, right? My shoes don't fit. Again. If you've been reading this blog for a while, you may remember that when I had Jude, my feet grew half a size and I had to start from scratch in terms of shoes. I was bummed because I had some pretty great shoes, and I didn't know that feet growing permanently due to pregnancy was a thing. For the next two years, I thoughtfully rebuilt my entire shoe collection, going from a respectable size nine to a harder to find 9.5. Then I got pregnant again. And surprise, surprise... my feet grew nearly half a size again. Thankfully, since 9.5 was so hard to come by, most of the shoes I had acquired in the first Post-Pregnancy Shoe (Re)Collection Project of 2010-2012 were a size 10. But then I got pregnant again. And, lo and behold, my feet are now closer to a 10.5 (which, as you larger footed ladies know, most manufacturers don't make half sizes after size 9). 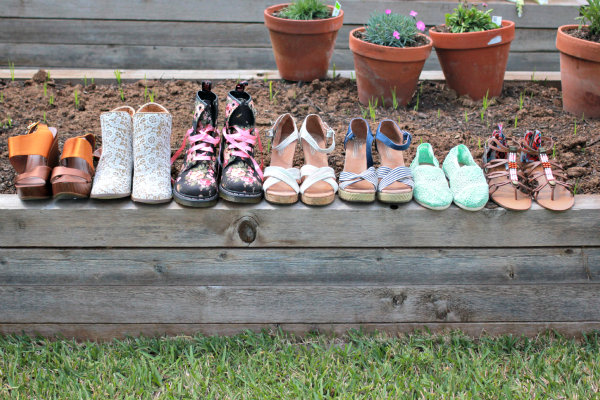 As you can imagine, I do not want to start my shoe collection over again, let alone with size 11's! I gained more than 50 pounds this pregnancy on top of the extra 10 pounds I had yet to lose from carrying Caroline, so I am just bigger everywhere, including my feet and hands (side note: my wedding rings have been in the safe for more than two years now as I'm unable to get them over my knuckle, and I already had them resized once). All this to say that I am more determined than ever to get in shape... not so my pants or rings will fit again, but rather so all my wonderful shoes will fit! My Facebook friends helped me pick these out, and I only tried them on once before my feet swelled up in my third trimester. 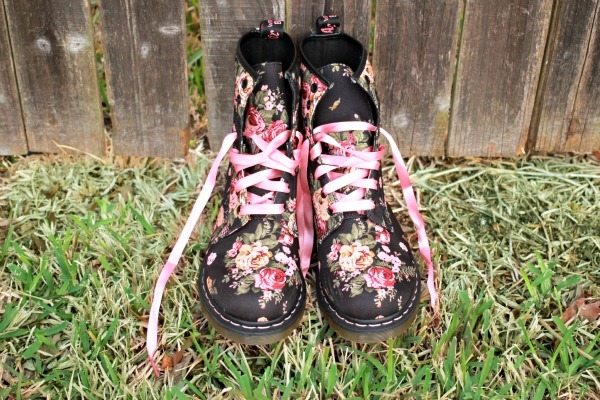 I first fell in love with Doc Martens because Kendra, this impossibly cool girl a couple grades ahead of me in junior high, had multiple pairs of Doc Martens, including a rad floral pair that I've been thinking about for, literally, 20 years now. And my love for them only intensified after pretty much wanting to be Rayanne Graff (without the, you know, substance abuse problems), Jane Lane, and Six who could each wear the heck out of a pair of Docs. Ah, nineties nostalgia! 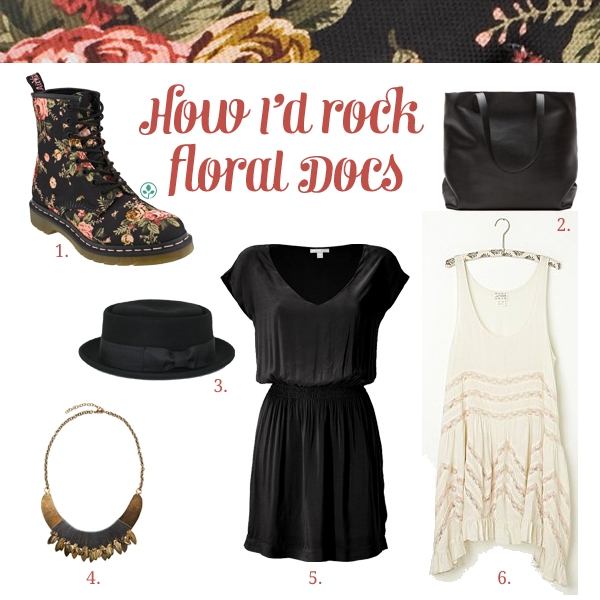 And now, thanks to PlanetShoes, who I am madly in love with, my floral Doc Martens dreams have come true. Well... almost. I finally own my dream boots but (nightmare!) I can't get my fat feet into them. I've been dying to do an outfit post featuring these boots forever, but I guess for the time being y'all can use your imagination.